Your bathroom is the most important room in the house – why not give it an upgrade? Whether you want to remodel your bathroom for aesthetic reasons or to repair old and outdated plumbing, you can entrust your bathroom remodeling project with us. 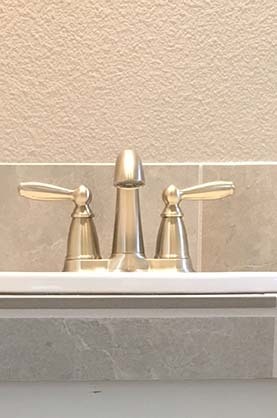 From updating plumbing fixtures to completing a top-to-bottom bathroom remodel in the Vancouver Metro and Camas Areas, Simpson Plumbing handles it all. Need a remodel? Give us a call. To get more space. In many cases, bathrooms are too crowded, especially if you have less room to work with. However, when you remodel your bathroom, you get a clean slate, and you can greatly benefit from a better use of space. You can choose from new furniture and fixture choices that look great and take up less room so that you can make the most out of the space that you have. If you’ve got the budget for it, you may consider changing the layout of your bathroom completely for a totally new look and feel. To create a place for relaxation. Why not create an oasis that you can relax in after a tough day? Remodeling gives you the ability to go beyond just function in the bathroom. You can turn it into a retreat to enjoy each day. With the right fixtures, décor, and a great tub, your bathroom can become one of the best places to relax and soothe away the stress of the day. Don’t forget the candles! To increase home value. Homebuyers are very often impressed by a contemporary bathroom in a home for sale, so make a great investment for the long term by keeping your bathroom modern. Even small changes, such as updating the bathroom sink to a modern design, adding a vanity mirror and replacing handles and knobs with a chrome finish can push prospective buyers over the edge and encourage higher offers. When it comes to sinks, options for styles and features are virtually endless. There are two main styles of sinks you can choose from. The first is a complete sink system that comes with its own fixtures with an integrated faucet or handle. These styles involve fewer pieces and generally require less labor. The other type of sink features three-hole setups for you to install your own sink fixtures. This is recommended for those who are interested in total customization of the appliance. You have a myriad of options when choosing the right materials for your sink. Vitreous porcelain is most common, but other potential selections can include marble, hammered bronze, copper and more. Take care to adjust your budget when considering the style and material you want for your bathtub. A tub alone can cost anywhere from a few hundred dollars to thousands, depending on the type and size. Traditional bathtubs can be made with a number of materials, including acrylic, cast iron and fiberglass. Other options, such as marble, are more unique but will cost extra. If you’re looking to replace your bathtub entirely, it is highly recommended that you hire a professional plumber who will do the job right. Poor installation of a bathtub can cause expensive water damage and mildew growth that may undermine the entire remodel. Toilets manufactured before the 1990s in the United States use an excessive amount of water, so replacing it with a new model will not only improve the look of your bathroom, but also reduce your water usage to lower your monthly water bill. 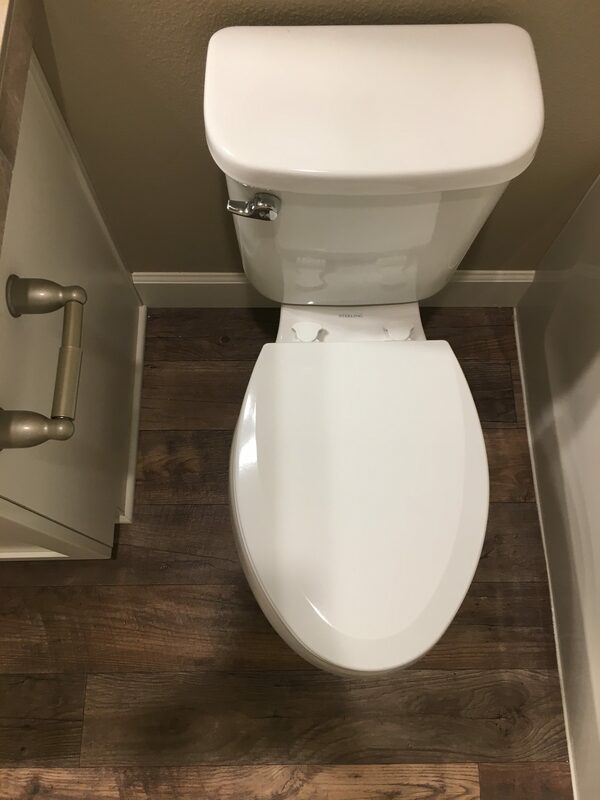 It’s possible to change the location of your toilet in your bathroom, but it will cost you more money to plumb new water lines. Are you in the market for a plumber around the Vancouver or Camas areas to tackle your bathroom remodel? You don’t want to take a chance on something as important as the functionality or aesthetic style of your bathroom. Whether you’re looking to gut your bathroom completely and start fresh, or instead make small plumbing upgrades throughout, you can count on our Vancouver plumbers at Simpson Plumbing to get the job done right the first time.